Our 2019 flagship production performs from July 17 – 20 at our Surrey Picnic Theatre, following which it will tour in August to Cornwall’s Minack Theatre. Auditions are in mid September 2018 – scroll down for dates. Auditions are held well in advance to enable cast members to book accommodation in Cornwall and schedule holiday/time off work to tour. This is a large cast play with lots of opportunity for experienced actors – many of the roles may be played by either male or female actors. 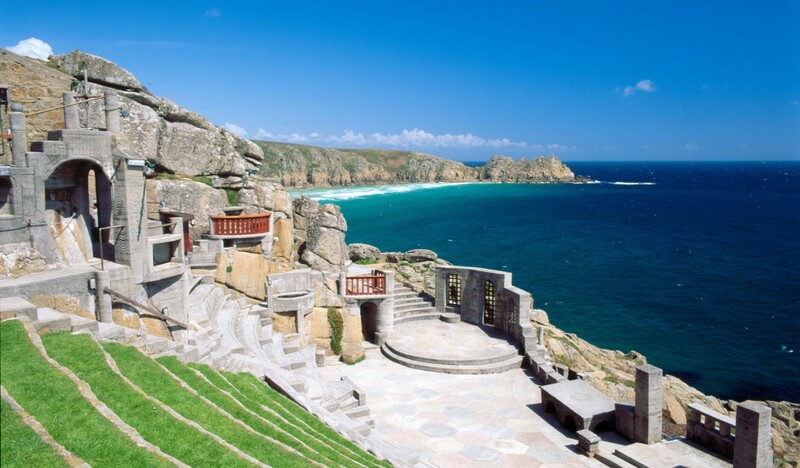 Projection and characterisation open air is key – especially at The Minack, which is a spectacular venue in which to perform. Please click here to download a pdf file of character notes. REHEARSALS are on Tuesday, Thursday and Sunday evenings with an anticipated start date of May 16th, 2019. All those cast are required to join as full members of Guildburys Theatre Company. The membership fee is £25; there are no show fees and full scripts are purchased and provided for you to keep. Please click here to see and download a pdf with helpful advice to help you prepare. Please use our contact form below to contact the director for information or to register your interest.